Come and join us for our weekly Fish & Chip night! Every Tuesday night. Eat in or take away. Our no nonsense and great value ‘chip shop’ style menu is available alongside the main menu and is available to eat in or take away, with phone orders also taken. 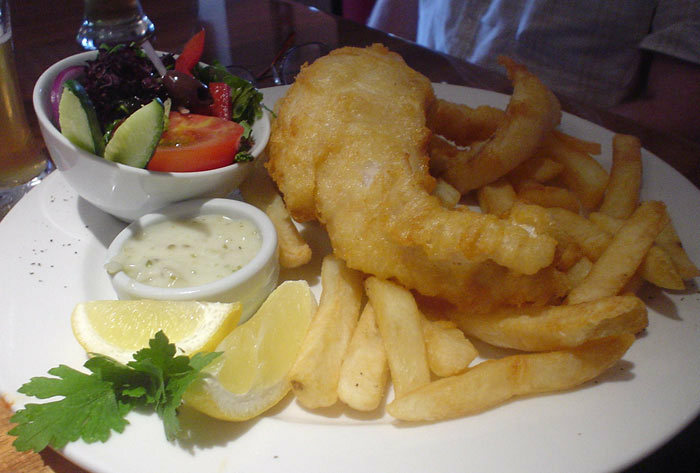 Beer battered cod and chips with either mushy peas or curry sauce for just £6.50!